Stacy + Charlie: ice, no cable, and blackouts. oh my! ice, no cable, and blackouts. oh my! This is crazy. We received MAYBE 2 inches of sleet and snow (mostly sleet) yesterday morning, and it seems like the whole state has shut down. In these past couple of days I've seen how absolutely unprepared Texas is for any winter weather that comes their way. First, the streets. They don't salt the roads, they sand them. When the high temperature is in the teens and the wind is gusting up to 50 miles an hour sand does absolutely nothing. It doesn't melt the snow, and it's being blown around, so it's not really helping with any traction. We're supposed to stay below freezing until Friday afternoon, so until then most roads (including the major highways) are going to stay a solid sheet of ice making it nearly impossible for anything to get back to normal until then. I tried to get out yesterday and my SUV (that was full of gas and had the traction control on) slid backwards down the hill that you have to make it up to get out of here. Maybe they'll learn their lesson and invest in some salt next year. Since most roads are pretty dangerous to drive on right now, people are finally giving our public transportation system a try. However, if they tried to ride the train yesterday they were turned away because they shut all trains down due to the wind. If you tried today you were told there was going to be a 15 minute delay, only to find out it's really about an hour because Texas has implemented rolling blackouts today and DART didn't manually set-up their back-up generators. This looks particularly bad for us because it's super bowl week and there are a lot of out of town people trying to get around by using public transportation, which is already not very user friendly down here. Second, no power. All across north Texas today they are implementing rolling blackouts that last about 15 minutes at a time because "of shortage due to high usage in extreme weather." I'm actually using less electricity, and with all of the businesses shut down, I'm not really sure how so much electricity is being used. Nevertheless, this is not something people want to hear when they are stuck at home and it feels like -15 outside. Here's a survey that our local news station has on their website. It looks like we're not handling it too well. I'm going a little crazy staying at home by myself for the past couple of days with no one but Mr. Funke to talk to. 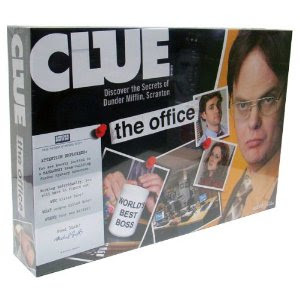 Luckily, today we're planning to play Clue - The Office edition and drink $3 bottles of wine. 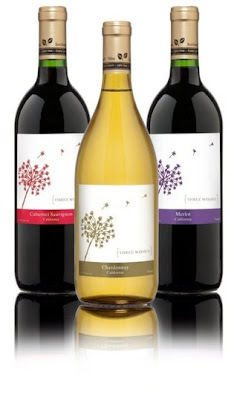 Whole Foods' new version of Trader Joe's Two-Buck Chuck. Since school was closed for the past two days, and I don't work on Thursday and Friday, I've officially had a one-day work week. Normally, that would sound fantastic, but I really love my job and I'm ready to go back to work!